Staying organized and studying effectively deliver lifelong benefits of knowing how to learn, remembering necessary information and finishing what you start. Understanding which methods work for you provides a key to educational success. Rote memorization enjoyed a long history in education because many students learn well by committing facts to memory through repeated practice. 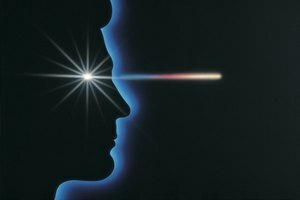 Educator and author Ben Johnson explains that memorization techniques, such as question-and-answer sessions or flash cards, allow information to stay in the short-term memory long enough to transfer to the long-term memory, improving learning success. 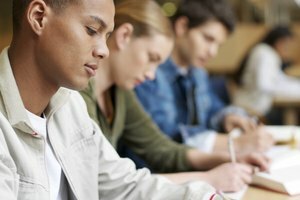 Psychometric Society researchers surveyed college students in 2011, finding that 80 percent of those with GPAs higher than 3.6 reported quizzing themselves to learn information while studying, while those with lower grades employed this technique less often. Studying boosts memory and teaches recall skills for a lifetime. Without repeated study, most people forget half of what they are taught in just 20 minutes, with another quarter of the information out of mind within one day, and almost nothing retained long-term, Northwest Florida State College has found. The SQ3R method -- Survey, Question, Read, Recite, Review -- of studying helps students retain information. To follow the method, survey the pictures, subheads, bold words and other major components of a reading assignment, then ask yourself questions about what you can expect to learn. Read the material while asking yourself more questions, recite out loud the answers you find and then review everything you have learned. 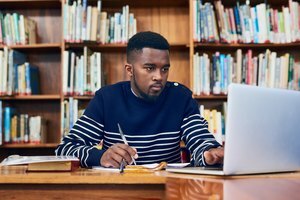 Organizing styles dictate a student’s optimal studying techniques, say therapists and authors Martin L. Kutscher and Marcella Moran. Visual organizers need supplies within sight, but hate a crowded desk. They focus best with pictures and visual cues, like colorful supplies and a binder dedicated to each subject. Spatial organizers need a comfortable work space with supplies nearby and respond best to a positive approach. Try using a single large binder with separate pockets and supplies that feel good to the touch. Sequential organizers enjoy numbers, an orderly work space, chronological lists and dates and learn well by memorizing. A planner with one week on a page and a binder with subjects organized chronologically keep them on task. Understanding your learning style can unlock the door to effective studying, and most people learn either by seeing or hearing. If you remember an email address or phone number when it’s spoken out loud but struggle to recall written information, you learn by ear and may benefit by recording a lecture or reading your own notes into a recorder to listen to while studying or doing other tasks. If the written message gets through better, you are a visual learner and should take good notes during classes and draw diagrams and pictures of what you learn. Thomsen, Mary. "What Are the Benefits of Good Study Habits & Organizational Skills?" Synonym, https://classroom.synonym.com/benefits-study-habits-organizational-skills-6904425.html. Accessed 23 April 2019.